AND if you’re heading along to March on Saturday why not start early and support the West End to Town Warm Up March? 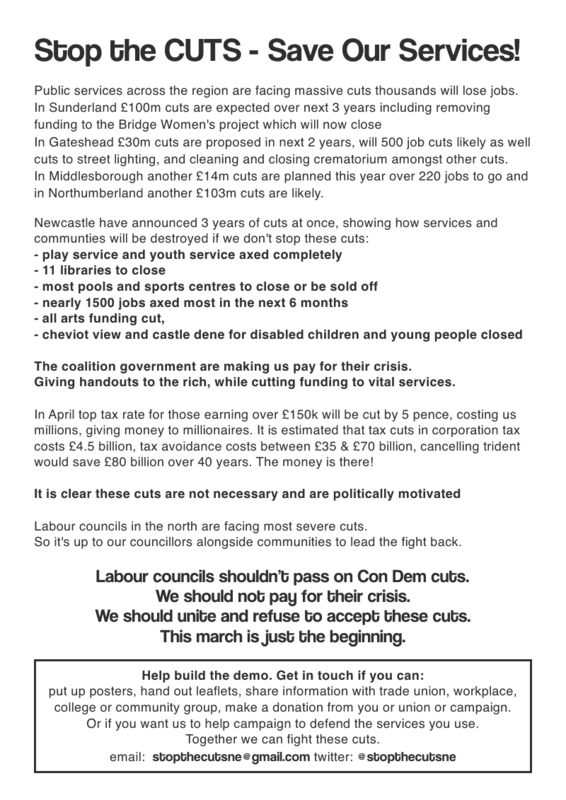 We’ll be marching from Murray House to Times Square at 11am with children, young people and adults from the West End who are likely to lose out the most in the upcoming budget hatchet-job – Murray House Recreation Centre, Moorside Library, Elswick Pool, play sessions at Nunsmoor, Night-reach youth work support all to go! Start early, make even more noise! In the current SOS campaign what is coming through loud and clear is a lack of any open dedicated safe, social space/forums for young people especially those excluded from mainstream structures, education and institutions, a lack of opportunities for learning/agency/organising/gaining an understanding of democracy, association, political and social education, based on principles and practices of social justice. These spaces have to be created with young people. 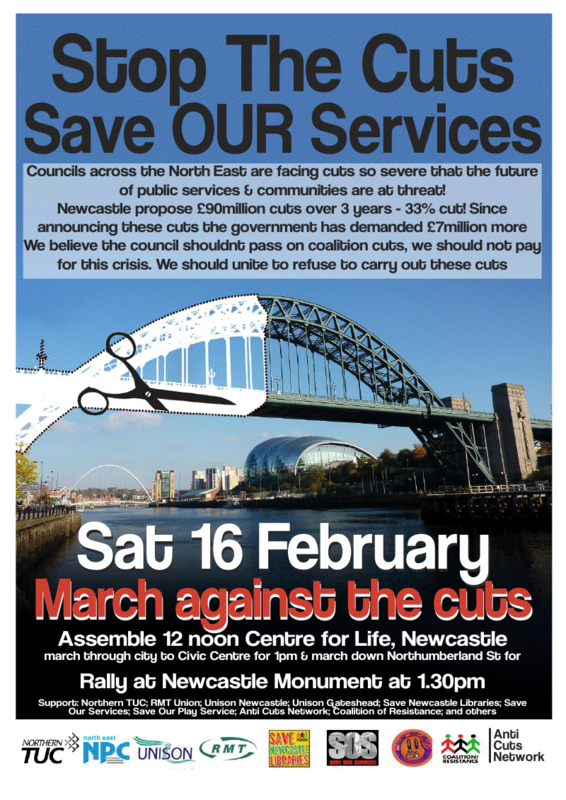 If the proposed cuts are agreed in Newcastle it will herald the last nail in the coffin of statutory commitment (if not requirement) to these principles for young people…where else can we find or create the spaces for young people to find these opportunities? Certainly not in the private, target, outcome, profit, market driven sector. Next Creating an Institute for Youth Work : Singing as We Go!